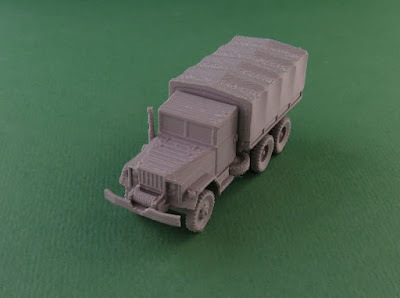 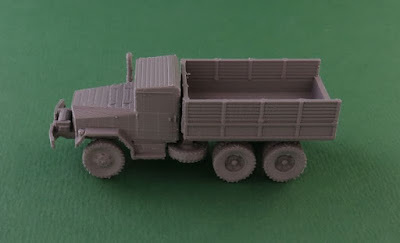 One American M35 2½ ton, 6x6, cargo truck. 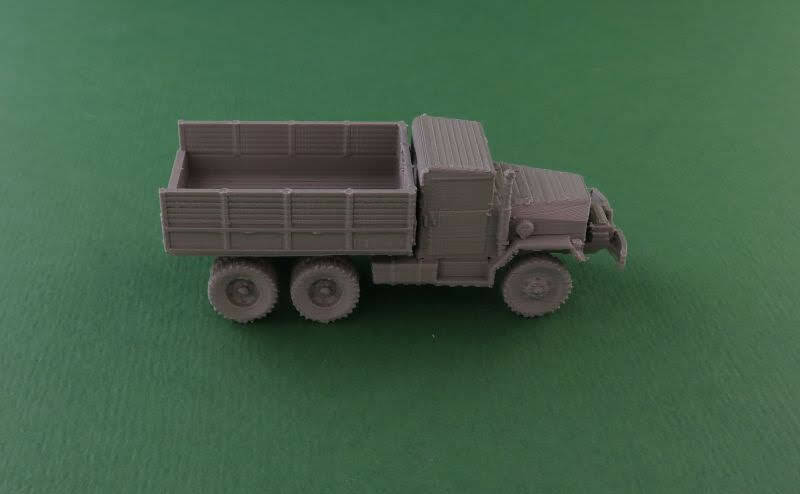 Available in 6mm (1/285), 12mm (1/144), 15mm (1/100), 20mm (1/76) and 28mm (1/56). 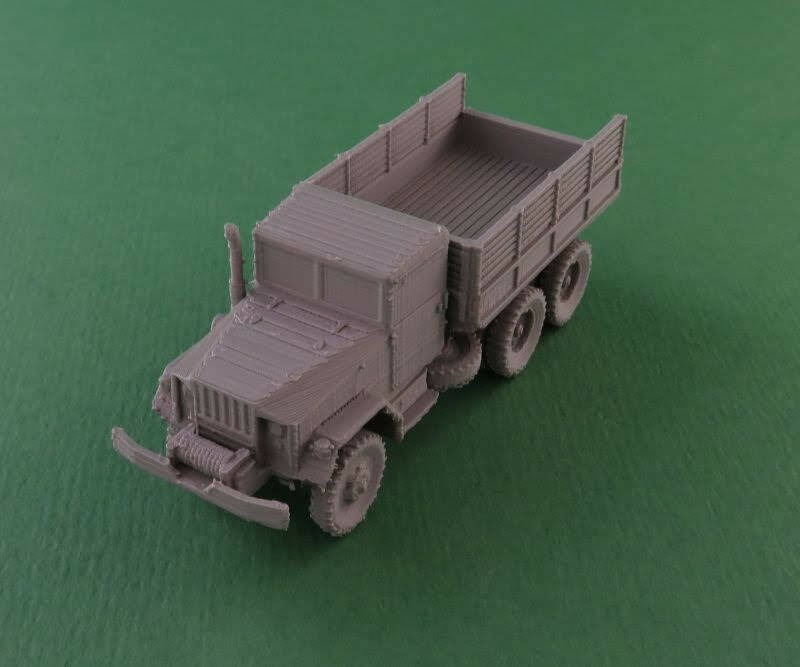 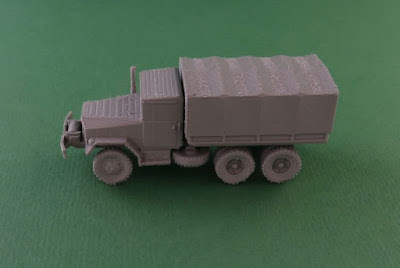 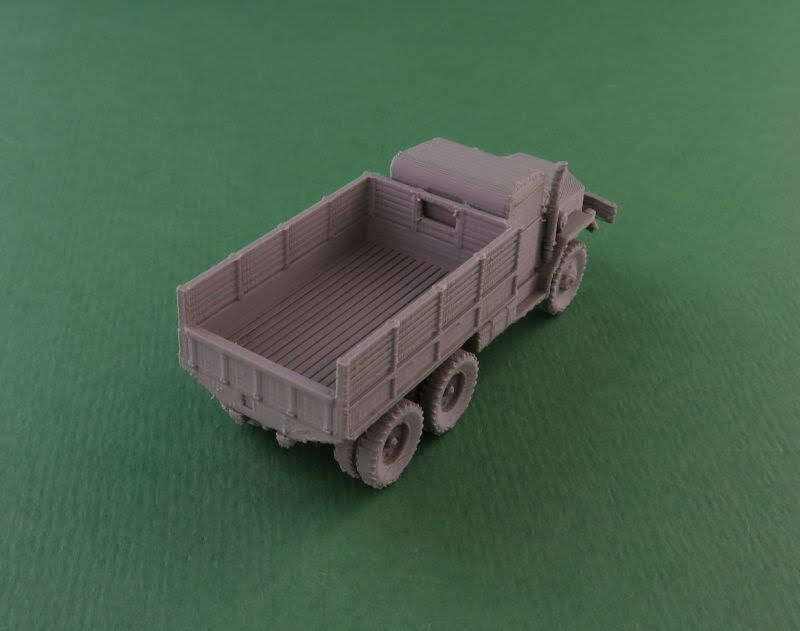 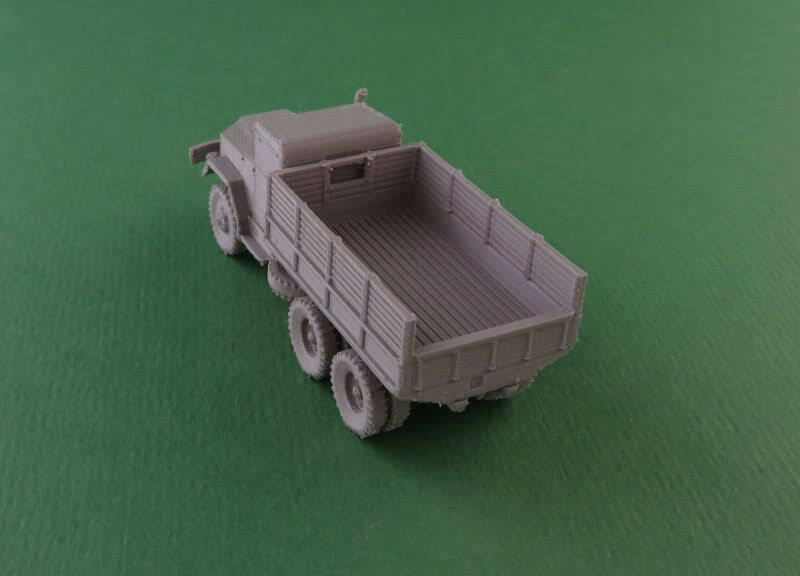 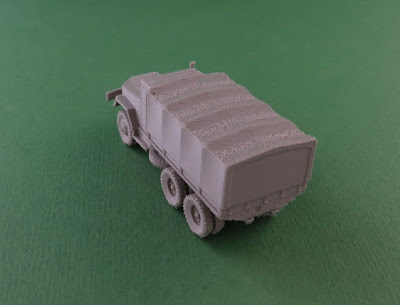 The M35 2½ ton cargo truck is a long-lived 2½-ton 6x6 cargo truck initially used by the United States Army and subsequently utilised by many nations around the world. Over time it evolved into a family of specialised vehicles. It inherited the nickname "Deuce and a Half" from an older 2½-ton truck, the World War II GMC CCKW.